Outstanding Earth Science Teacher (OEST) awards are given for "exceptional contributions to the stimulation of interest in the Earth Sciences at the pre-college level." Any teacher or other K-12 educator who covers a significant amount of earth science content with their students is eligible. Ten national finalists are selected, one from each NAGT regional section. Some sections also recognize state winners. Individuals may submit an application themselves or nominate a colleague for the award. Nominations may be submitted at any time during the year, however some sections need this information as early as March in order to consider the applicant for the current calendar year. The official nomination form and supporting materials should be sent to the sectional OEST chair or to the NAGT Executive Director. An online nomination form is available at the NAGT website. The National Association of Geoscience Teachers gives each section OEST awardee a plaque and a two-year membership in the Association, which includes a subscription to the online Journal of Geoscience Education. Other NAGT awards vary from section to section and among states within sections.In addition, the Geological Society of America provides a monetary award and a 3-year Teachers Associate Membership (including membership in the Geoscience Education Division), and the National Earth Science Teachers Association provides a one-year membership, which includes a subscription to the Earth Scientist. The following organizations provide tangible support of various kinds such as teaching materials or gifts: American Geological Institute, American Geophysical Union, American Institute of Professional Geologists, and the U.S. Geological Survey. 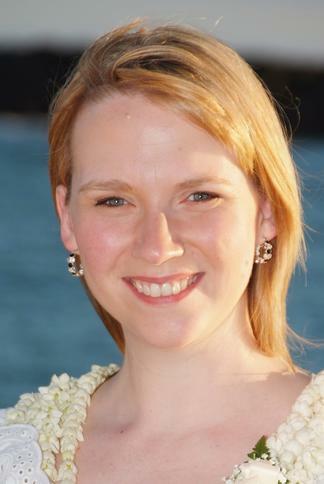 Mary Lestina is in her twelfth year of teaching at City High School in Iowa City, Iowa. She currently teaches Ecology, Physical Geology, and Weather and Climate trimester electives for juniors and seniors, senior level Physics, and freshmen level Foundations of Science III. Mary graduated from the University of Northern Iowa with a Bachelor's of Science Degree in 2000, majoring in All Sciences and Earth Science Education with a minor in Meteorology. She earned her Master's of Science Education Degree from the University of Iowa in 2005 with an emphasis in Earth Science. In 2010, she was awarded the Excellence in Science Teaching Award from the Iowa Academy of Sciences. As an active member of the Science Department, Mary has worked on curriculum review and standards alignment projects and was part of a team of teachers recognizing the need to extend the Earth Science offerings through Earth Science Trimester Electives. She has worked with science and special education teachers incorporating reading strategies, differentiated learning, and understanding by design strategies into her classroom giving students the best experiences possible. 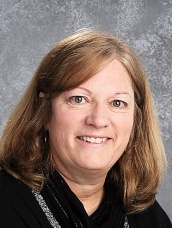 Mary is an active member of the National Science Teachers' Association and the Iowa Academy of Sciences (IAS), presented at several national and local science teacher conferences, and has severed as IAS Membership Committee Chair and a member of the IAS Recognition Committee. Mary has sponsored the Science Club since 2000, and in the past has sponsored the Environmental, Rocket, and Global Perspectives Clubs at City High School. Mary's teaching philosophy is to encourage all students to connect their lives to their education. Her positive attitude, high expectations of every learner, willingness to improve, and a value of every student's unique abilities makes learning more meaningful for students within her classroom. 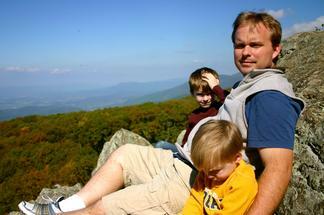 Russel H Kohrs teaches Geology, Astronomy, and Earth Science at Broadway High School in Broadway, VA. He has spent his entire teaching career of ten years at this rural school in the beautiful Shenandoah Valley. He earned is BA in Geology from the College of Wooster and his MS in Geology from the University of Cincinnati. His thesis at UC explored fossil lagerstätten found within the mudstones of the Kope Formation (Ordovician) and postulated a model for rapid mud deposition. Scientific research is important to him. In his classes, he involves students in research, original or otherwise, at every opportunity. In 2011, he and his students won an award for the "Best Field Collected Data Project" through the Eyes in the Sky II student research showcase for their work conducting a groundwater analysis in an area where hydraulic fracturing for natural gas was being considered. His students are also involved in searching for unknown pulsars through the Pulsar Search Collaboratory. Most recently, he worked as an RET at the National Radio Astronomy Observatory in Green Bank, WV where he helped recommission the USNO 20m radio telescope for online use via the SKYNET telescope network. With this new astronomical tool, his students and students around the world can explore real astronomical questions using a research-grade radio telescope. He presented the results from this research position and data from his students using the materials that he created during at the 2013 American Astronomical Association (AAS) meeting. The materials that he wrote for the 20m telescope highlight his teaching philosophy, which is that students best experience science by doing it both in and out of the classroom. Russell also has interests in archaeology and bagpiping, which allow him to bring interesting cultural elements to his science teaching from time to time. Motivation of the students that enter Herman Hilkey's classroom is primary. Herman strives to be 'the' teacher. His classroom, his attire, his posture in class in all matters is to instill in the students that, "Yes this is the course you have been looking for; safe, interesting, challenging and that you will learn something completely new today." Herman has a Masters in Science from University of Southern California (USC) and a teaching credential that allows him to teach kindergarten to Chemistry. This will be Herman's tenth year teaching Earth Science following a career in the private sector as a purchasing manager for large manufacturing corporations. The current Science Department at San Jacinto High School is truly an outstanding collection of amazing and committed educators and as the Science Department Chairperson for the past six years Herman sees his job is to solidify the efforts of this professional familia. Highlights are: 1) improved State Test results in Earth Science from below the Riverside County scores to seven continuous years of scores at or above the Riverside County and State of California. 2) The Solar Boat Team designs, builds and races a 16 foot solar powered boat. San Jacinto has climbed from 28th to 5th place out of 40 high schools from all of Southern California and first place in the two county region. 3) Herman has established a MESA Club (Math Engineering Science and Achievement) and his students build robots, bridges and compete at the University of California Riverside. Technology in the classroom makes the class interesting for students and Herman and a necessity for presenting the many diverse concepts of Earth Science. If it is loud, bright, with larger than life images it is more fun for the teacher and memorable for students. Kathy Rusert has 37 years experience working in education, with the last 27 at Acorn School in Arkansas. Teaching a college class for pre-service teachers also encourages new teachers to use project-based learning to master science concepts. Outdoor education is included in her approach to teaching students. 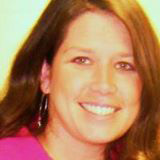 She has taught all grades 1-8, served as sponsor for grades 9-12 and taught a college class as an adjunct instructor. Her honors include international Project Learning Tree Teacher of the Year, Arkansas Rural Education Teacher of the Year, Walmart Teacher of The Year, Trailblazer Teacher of the Year, and Arkansas PLT Teacher of the Year. 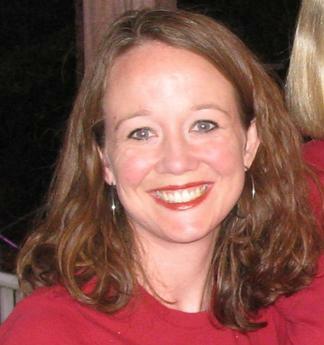 Currently she serves on the Arkansas Science Teachers Association Board of Directors, Ozark Chinquapin Foundation Board, Project Learning Tree Steering Committee and is a member of Delta Kappa Gamma. Her classes have won the Arkansas Green Schools Challenge the past two years, Disney Planet Challenge and helped her school become the first U.S. Green Ribbon School for Arkansas. Erica Wallstrom has taught at Rutland High School in Vermont for the past seven years. She graduated from Carleton College with a degree in geology and then went on to earn her Master's in Education from Castleton State College. While Erica teaches primarily freshman Earth Science, she also teaches a fundamentals of science course for special needs students, a field-based geology course, and occasionally chemistry. Erica's teaching reflects her belief that all people are capable of learning, want to succeed, and need to belong. Her goal as an educator is to foster experiences that inspire all learners while providing opportunities for incremental, personalized growth in an inclusive, welcoming, safe environment. Her principal notes that "Erica is remarkable in her ability to connect to all students. . . She makes clear that their work is important, that they can achieve her goals, and that she will support them in getting there". Erica hooks her students on learning in general and in the geosciences specifically, by developing relevant, place-based projects including: designing dams and impoundment ponds to prevent future flooding damage following Tropical Storm Irene, investigating soils surrounding trees that produced the sap for their classes' maple syrup production, and reflecting on personal beliefs after learning about both historical astronomers and creation myths in social studies. Most recently, Erica received a National Science Foundation grant to support the development and implementation of a course that focused on exposing students to field skills and local geology. Through the collaboration with a geosciences professor from Princeton University the course included multi-day field trips throughout New England, New York, and New Jersey. Ultimately, Erica expects her students to graduate with a strong foundation in geosciences while developing a desire to understand, a willingness to accept challenges, confidence in themselves, and a hunger to explore. 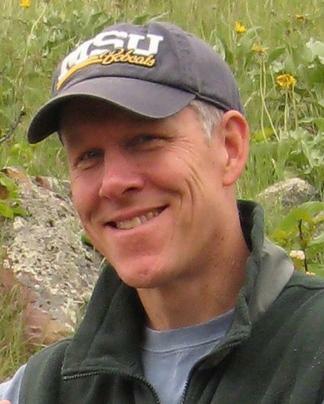 Rod Benson has been teaching Earth Science for 31 years, including stops in Joliet (MT), Harlem (MT) , Broadview (MT), and Helena (MT). Since 1994 he has been teaching Earth Science at Helena High School in Montana's "capital city". He grew up in north-central Montana, graduating from Harlem High School in 1977. Rod graduated from Montana State University in 1981, and also earned a master's degree in science education from MSU in 2001. He is married (Mardi) with four grown children. He enjoys hiking, trail-running, kayaking, photography, and exploring the mountains, valleys, rivers, and prairies of Montana. Rod's most significant contribution to Earth Science education is a website he created, combining his love of photography, exploration, and teaching Earth Science. The site, called "Montana's Earth Science Pictures" (www.formontana.net) helps make Earth Science topics more relevant to students throughout Montana by providing over 100 "Montana examples" of Earth Science topics. The site is used as a "picture of the week" assignment by teachers throughout the state. Rod also created "Rodney's Homepage for Earth Science Teachers" to share activities, videos, demonstrations, virtual field trips, and other ideas with Earth Science teachers throughout the United States. 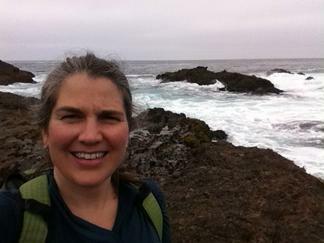 Helen Farr has been teaching in Coos Bay for 25 years and is currently a fifth grade teacher in Coos Bay, Oregon. She grew up in this community and attended school and graduated in the Coos Bay district. While teaching the last ten years at Millicoma School, Helen has shared her passion for the environment and protecting our resources through environmental education. Being a self-contained classroom, she uses opportunities to teach science through math, reading and writing, and through hands-on experiences. She started a school-wide recycling project with Terracycle, a company that up-cycles hard-to-recycle trash and creates new product. Students throughout the school collect items for Terracycle and then they are sorted, packaged and shipped to the company. There have been many opportunities for both math and science connections as students analyzed the different amounts of each variety of trash, such as graphing and finding trends in what kinds of trash were being brought in. Helen also is part of a community project creating giant sculptures of marine animals out of plastics collected from Oregon beaches, call The Washed Ashore Project. Her students were able to work with The Washed Ashore Project by participating in field trips to the beaches and to the location in Bandon, Oregon, where plastic debris from all over the coast is delivered by community members. Students were able to help process the debris and create pieces to be used on four of the giant sculptures. Some of her students were able to take part in a film being made about the project, and created a short movie about how plastics get washed down storm drains and into our oceans. This project has become another avenue to inspire students to take part in their community and help educate people about the huge amount of plastic debris in our oceans. Helen earned her teaching degree and master's degree through the University of Oregon, but has continued her education every day through her students. Olivia Boykin teaches third grade at Woodland Heights Elementary School in Spartanburg, South Carolina. Enter Ms. Boykin's room and you will see experiments in progress, groups playing games, or students singing or dancing; all related to teaching and reviewing science skills and concepts. Her classroom is full of fun and excitement every moment of the day. Ms. Boykin has a great talent for designing interactive lessons and assessments to teach, challenge, and remediate students. She takes songs written by others and those she has made up herself and makes up motions to go along with the words so that students can remember not just the words to the song but how the words relate to science concepts. She models a 'green' classroom as students recycle and reuse almost everything. Her classroom pens and pencils are kept in cleaned used soup cans and she has introduced games and crafts using objects ranging from mismatched puzzle pieces and playing cards to soda bottle twist tops. As a result, her students have developed a great sense of appreciation of the earth and the need for better environmental stewardship. Olivia Boykin's greatest strength is her ability to individualize instruction for a wide range of student abilities and backgrounds. She works with those who are struggling and gives them the confidence to believe in themselves. She will create special resources both for those reading below grade level and for those 'inquiring minds' who just can't seem to get enough information about a topic that interests them. Ms. Boykin has served in various leadership roles in her school and PTO and has organized 'Family Science Workshops' for the community. She never wants anything to be just ordinary; she strives for the extraordinary not just in all that she does, but in all that her students accomplish. Cheryl L. B. Manning attended Montana State University from 1984-1993, earning her BS and MS in Geology. She moved to Utah to pursue a PhD in Geology. During graduate school, she instructed laboratories for several courses and volunteered as a Math/Science tutor for underprivileged students at local high schools. 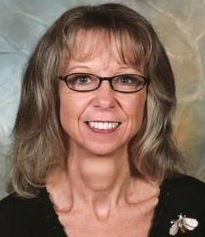 She loved teaching and earned her Secondary Science Certification at the University of Utah in 1996. She taught middle school science in Utah for six years and was awarded the Utah Earth Science Teacher of the Year in 2000. She has spent the last eleven years teaching high school in Evergreen, Colorado, becoming GLOBE-certified, participating in programs like CIRES-Earthworks, URI's ARMADA Program and became Nationally Board Certified. Cheryl maintains contact with scientists in the Earth and Environmental Science communities and works with amazing teachers from around the country. All of these people help her craft her teaching practice. For her, teaching is about building positive relationships where students feel comfortable tackling challenging material, asking hard questions, and developing new skills. Students should know that hard work can overcome ignorance so she encourages them to start with what they think they already know, understand their misconceptions and rebuild from a more sound foundation of knowledge and skills. Students have the opportunity to choose their own learning path using new technologies with problem-based learning strategies. To keep her teaching practice fresh and innovative, Cheryl maintains membership in AAAS, GSA, NSTA, and AGU. Membership in these organizations exposes her to new ideas in journals and at meetings. Cheryl takes advantage of opportunities to work with other teachers in both online and face-to-face courses. Through workshops and committees, she works with scientists and science-educators from around the world to learn about current science and education practices. Gary Poole is beginning his fifth year of teaching middle school earth science, physics, and pre-algebra mathematics at the Girls' School of Austin, Texas. His undergraduate degree is in mechanical engineering from Texas A&M University and he has an M.A. in international relations from St. Mary's University in San Antonio, Texas. He has also done graduate work in geology at the University of Texas, Austin. 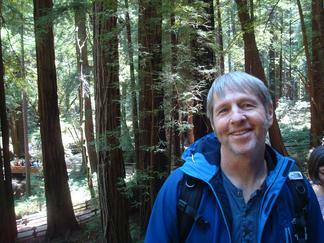 Gary began teaching as a late-life career change and despite his academic and occupational association with technology, his deep abiding interest is in natural history. He believes that middle school age students are naturally curious about the world and respond well to place-based, hands-on field work which involves important community issues, data collection, and interpretation. For example, as part of his surface hydrology curriculum he has his students work in teams to assess the health of local, neighborhood watersheds. The students perform chemical and bacteriological tests on the water, investigate the types of benthic macroinvertebrates present in the stream, and analyze the types of land use in the watershed and predict their effect on water quality. He then has them reflect on how their personal and family activities may affect their local stream. Part of Gary's karst hydrology curriculum involves a field trip into a wild cave. This cave is a recharge feature of a regionally significant limestone aquifer. The students crawl, slither and get very dirty as they follow the path of the water down into the limestone formation. Later, back on the earth's surface, the students visit the spring which discharges the water from that very cave. One of the positive takeaways from this activity is that science can be an adventure. 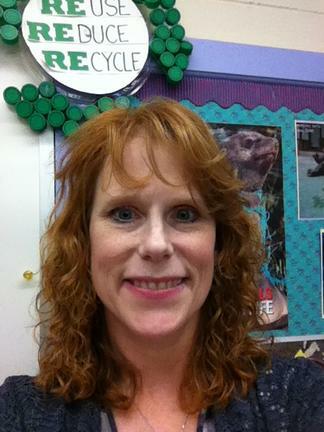 Alison Starr has been teaching Earth Science at Auburn High School for the past three years. In addition to teaching Earth Science, I have also taught Physical Science and Biology at AHS. I have been teaching for seventeen years. Before coming to Auburn, I worked in Lee County, teaching 7th and 8th grade Science at Wacoochee Junior High School. I have been a member of the BBSST/DSI team for the past eight years, Varsity Cheer Coach for five years, Junior Class Sponsor for two years, Relay for Life Team for three years, Girlz Rock program for two years, and will be a member of the Leadership Team at AHS and Science Department Chair for the 2013-2014 school year. I was also recently named by the Geological Survey of Alabama, Alabama's Outstanding Earth Science Teacher. I have been a member of NEA, AEA, and ACEA. I graduated from Ider High School in 1992, and then attended Northeast State Community College. I received my Associates degree from Northeast in 1994, before attending Auburn University. I received my Bachelor's degree in 1996 and my Master's in 2000 from Auburn. My approach to teaching is that all students can succeed if given the right encouragement and support. My classroom is lab based where students are encouraged to explore and demonstrate their knowledge in a variety of ways. I try and create an atmosphere where students feel welcomed and accepted. I am inspired by those that I teach and those that I teach with each and every day. My goal is that all students will be inspired to be lifelong learners. 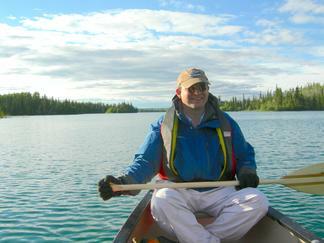 Jonathan Smith has been a Science teacher in Alaska for over twenty years. He first taught in the Alaskan Native village of Holy Cross on the Yukon river and then moved to Juneau, in Southeast, Alaska where he has been teaching at Juneau-Douglas High School ever since. He was named Juneau's teacher of the year in 2005, and was a state finalist at the state level the same year. He has been awarded the Sigma XI certificate of excellence for the promotion of Scientific Research. Juneau has provided Jonathan with a wealth of interesting geological features that he has made good use of in his teaching throughout the years. Not only does Juneau have several easily accessible glaciers, it is also surrounded by the Juneau Ice field which covers some 3,900 square kilometers of the Alaskan Coastal range. Above all, however, Jon is known for growing and helping to run the Southeast Alaska Regional Science fair. This fair is an INTEL affiliate that regularly sees over 160 participants. Jonathan Smith is personally responsible for guiding the vast majority of these projects through the process by matching students with community mentors from a variety of fields, many related directly to geology. Jeremy Williams has been teaching at Desert Vista High School for eleven years. 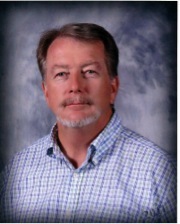 He received the 2008 Tempe Diablos Teacher of the Year award. His degrees include a Bachelor of Science in Education and a Master of Arts in Educational Leadership, both from Northern Arizona University. His teaching philosophy and approach to his profession is centered around serving and exciting students about science. He tries to accomplish this by providing dynamic and challenging courses. His most innovative and effective teaching practices include using collaboration, incorporating authentic research experiences, computer applications and current technologies. He travels to Kodiak Island, AK, where he was born, as well as many other places and infusing these experiences into his lessons enhances his teaching practice. Nancy Adgate loves Earth Science. It is not just about the big rock that we live on, but about our love for the many facets of our beautiful blue planet. Nancy wanted to share this passion with young people and help them to understand how important and fragile natural resources are. Teaching Earth and Environmental Sciences, Nancy has been able to communicate with students on a level that helps them to respect the Earth and consider wise choices that preserve our environment, rather than destroy it. Some of her accomplishments include being a presenter at the National Science Teachers Association conferences for the past five years, as well as, the Georgia Science Teachers conferences, where she presented environmental workshops. She attended the hands-on GEARS Astronomy workshop at University of Georgia in the summer of 2010. Nancy served as the science department chair from 2004 – 2009 at Dutchtown Middle School prior to transitioning to Dutchtown High School to help establish an Earth Science program. She was fortunate to be part of the International Science Fair Host Committee in 2008 when Atlanta hosted the Intel Science and Engineering Fair. Through the years she has served on many leadership teams at various schools and school councils in Georgia, both as a member and as the leadership chair. This past summer Nancy went on the ride of a lifetime over the volcanoes of the big Island of Hawaii. Seeing the active volcanoes and smelling the sulfur exploding from them really made her look forward to bringing to life the realness of our changing world to her students. Nancy wants to share her enthusiasm with them through pictures and videos. Her goal is to see her students graduate with a new perspective and understanding of their relationship with the earth and our place in this vast universe. 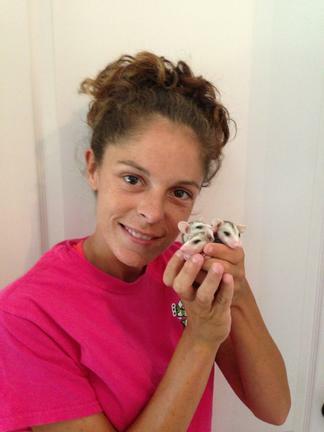 Lacey Hoosier has taught in the field of science for seven years. 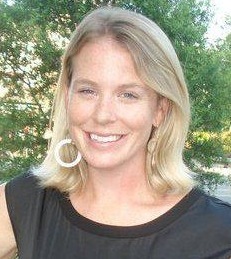 She currently teaches AP Environmental Science, AP Biology, DE Anatomy & Physiology through LA Tech, and AP Physics. Lacey has a Master's in Health & Human Performance (Physiology) from Northwestern State, a Bachelor's in Biology from LSU at Alexandria, an Assosicate's in Science from LSUA, and a Louisiana Teachers State Certification from Louisiana College. In addition, she has extra graduate hours beyond her MS in gifted education and in Anatomy & Physiology. Some of her accomplishments include being Teacher of the Year at Tioga High, an Outstanding Biology Teacher Award finalist, along with serving as Science Department Chair at Tioga High & now Buckeye High School. She has coached several sports and serves as Literary Rally Coordinator, as well as a school mentor for Discovery Education. Her teaching philosophy is to incorporate a love and understanding of the world around us for her students by allowing them to perform hands-on experiments and studies daily through intense field work and rigorous lab work. She leaves no child behind and has the highest scores in her parish for Biology. Lacey volunteers her time to educate the youth about Mother Earth through her Green Team (Conservation & Education) club as well as through her Science Club & Quiz Bowl team. She dearly loves her school, community, and peers but most especially, her students. She will continue to do whatever it takes to make learning about Science fun and interesting, while helping each child foster a knowledge and love for all living things and the drive to make the world a better place for all. Steven Carson has taught at John Witherspoon Middle School in Princeton, NJ for 11 years. He has a BA from Brown University and PhD from Columbia University in Geochemistry. After 8 years of college teaching, mostly environmental science at Barnard College, Steve was a researcher at NOAA's Geophysical Fluid Dynamics Laboratory for 10 years modeling ocean chemistry. There he started doing classroom presentations and teacher workshops and joined the faculty of Princeton University's QUEST summer professional development program teaching science to teachers. These experiences inspired him to become a public school teacher through New Jersey's alternate route program. 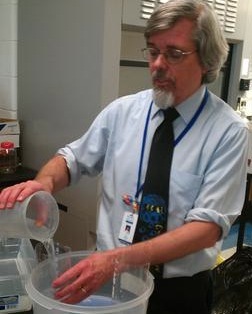 One administrator writes, "Through his passion for teaching, his love of science and his work with the community, Dr. Carson instills ongoing curiosity among his students and colleagues." Steve's philosophy centers on sharing knowledge, questions, teaching ideas, and passion for science with students, colleagues, and others. He develops engaging, hands-on activities using simple, readily available materials plus internet resources. These activities model processes and reveal principles in order to instill a deep understanding of science through inquiry approaches. Steve has also been involved in various aspects of his school, including being co-advisor to the Environmental Club and two engineering clubs. Michael Wing earned his MSed from Mount Saint Mary College and his MS in Geoscience from Mississippi State University. Michael began his teaching career in 2001, teaching 8th and 9th grade earth science in Cold Spring, New York. 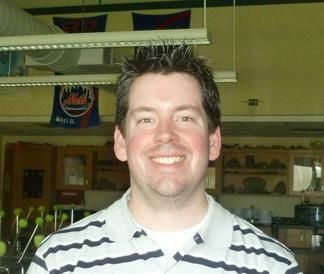 He has been teaching 8th grade earth science at Mamaroneck, New York since 2002. Michael is a pioneer in the integration of education technologies in classroom instruction. He has written, and assisted in writing over $125,000 in technology grants for his science department. Michael continuously develops interactive, self-guided lessons using 1 to 1 iPads that enables students to engage in science through discovery experiences. Michael created a Youtube channel consisting of 100 review podcasts that address the entire New York State earth science curriculum. To date, these popular and effective podcasts have received 333,000 views. Michael is also the coordinator of an after school program for underrepresented students called, "Opportunity Plus". The program provides students at-risk of failing with a safe and focused environment in which to study and complete academic assignments. The program is in its eleventh year, and has proven highly successful in mitigating underperformance in at-risk students. Mary Catherine Mills recently finished her second year of teaching Earth/Environmental Science, AP Environmental Science and Biology at Southern Guilford High School in Greensboro, NC and looks forward to many years ahead. She is a graduate of UNC-Asheville and was part of the NC Teaching Fellows program. Once she graduated from UNC-Asheville, Mary decided to attend graduate school at Mississippi State University receiving her master's degree in biology, specifically focusing on restoration ecology. Mary's passion in life is science. Science is an ever-changing field that can be seen by students as very complex and often too intricate for them to learn. In order to combat the students' views of science, she tries to develop a positive atmosphere in the classroom and a mentoring relationship with all her students; she believes that teachers should be mentors to their students. Mary makes sure that her students know that she cares about them. Additionally, teaching provides an opportunity for her to continually grow and learn. Mary's goal every day in the classroom is to share her passion about science and hope that it rubs off on her students. In such a competitive society, it is very important for students to not only receive a solid education, but to work with someone who is aware of and sensitive to their individual needs. Mary continually strives to become the best educator that she can be and be that difference maker in her students' lives.